An attached elastic enclosure band will keep the journal secure and prevent it from opening. It has 121 dotted numbered ivory pages. 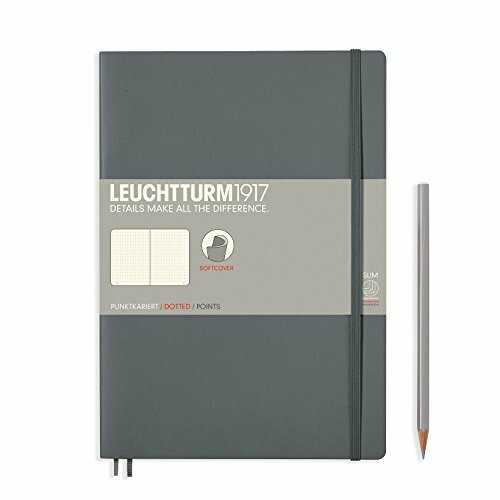 Journal dimensions: 10" x 7" x 0.4"
If you have any questions about this product by LEUCHTTURM1917, contact us by completing and submitting the form below. If you are looking for a specif part number, please include it with your message. New Generation - Puppies - Composition Book, 6 Pack, Wide Ruled, 80 Sheets / 160 Pages, 7.5 x 9.75 inches, Heavy Duty UV Glossy Laminated Hard Covers,6 Assorted Fashionable Notebooks per Pack.